We have many events and activities for children through 5th grade to take part in, including Children’s Choirs, Vacation Bible School, the annual Easter Egg Hunt, and so much more. For information, your personal contact is Daphne Hager, our Director of Christian Education. Children 3 and up will meet in the Music Room under the Nursery for our opening assembly. The children will be dismissed from there to their individual classrooms. Sunday School is also provided during the 5:05 p.m. service. 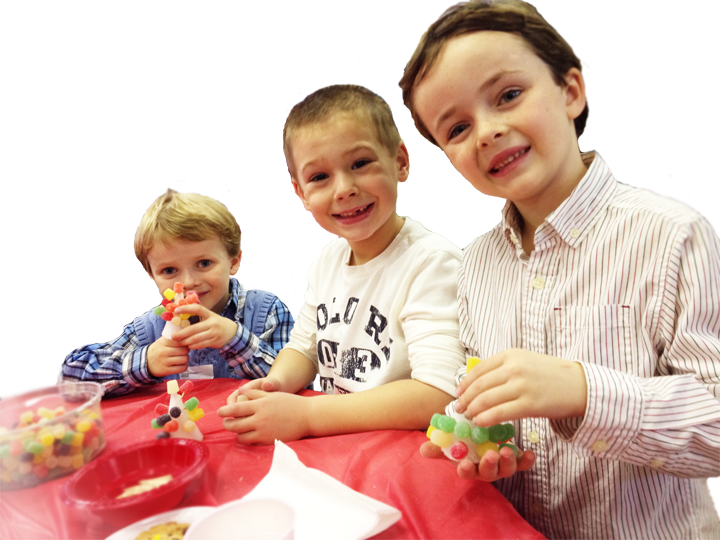 Childcare is provided for children ages 3-6 during the 10:00 a.m. and 5:05 p.m. services. Nursery is available for children 3 and under. Children’s worship bags (filled with coloring pages and activity sheets) are available on the “trees” just outside the Sanctuary doors.